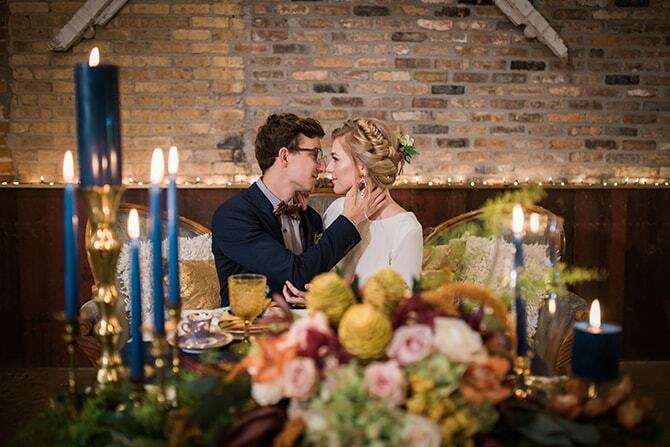 This inspirational wedding photo shoot is full of heavy dark colours, lifted with fresh plants and vintage furniture. 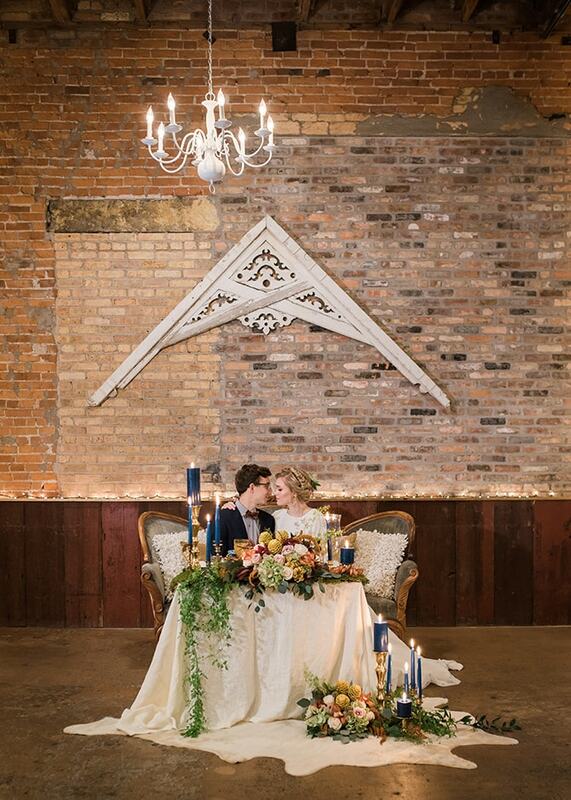 Taking place in a beautiful venue built in 1829. 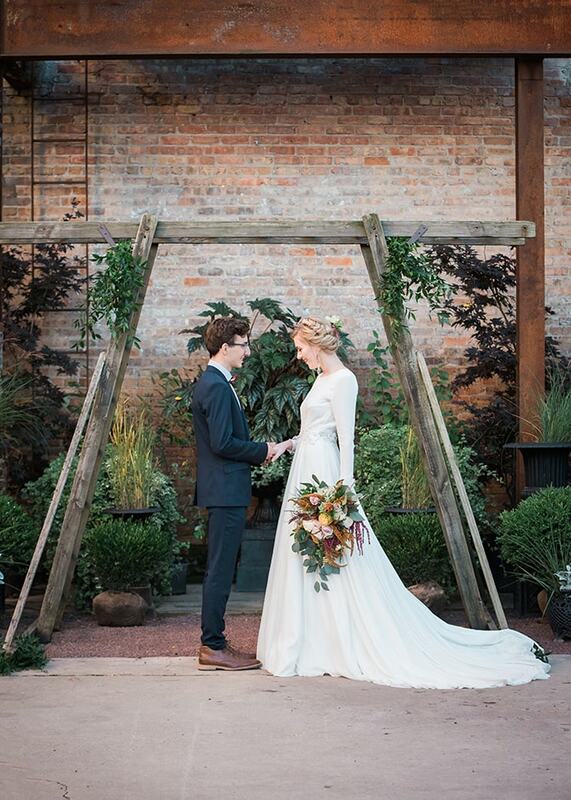 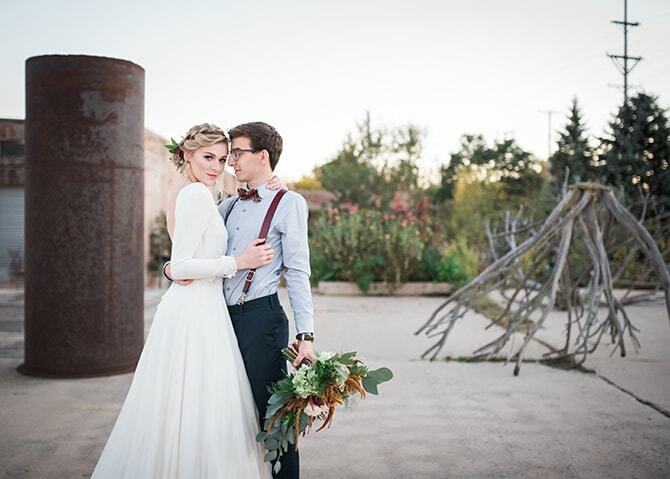 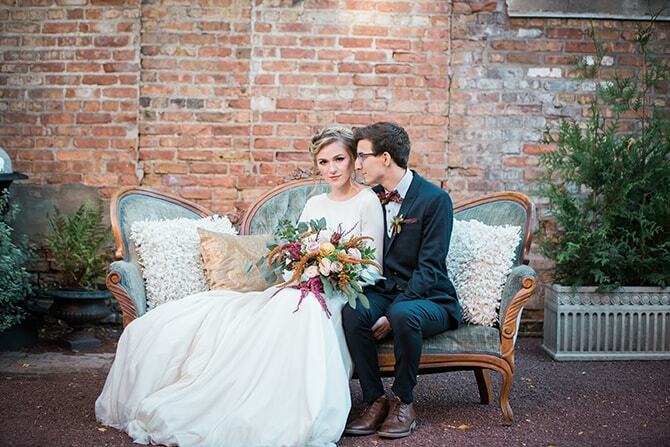 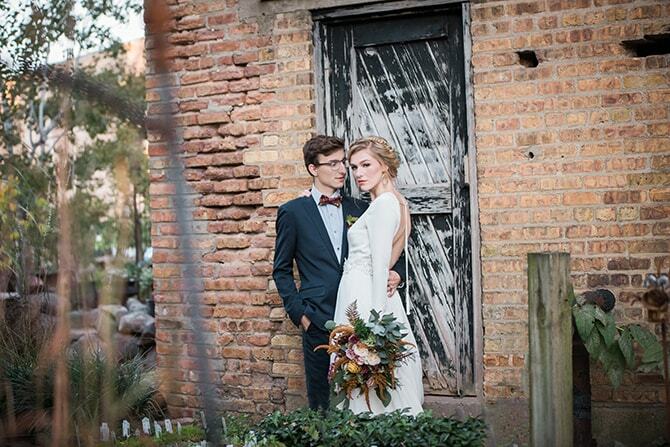 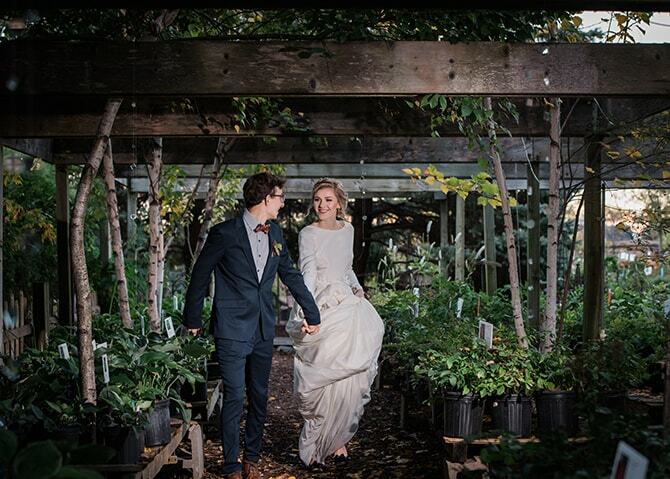 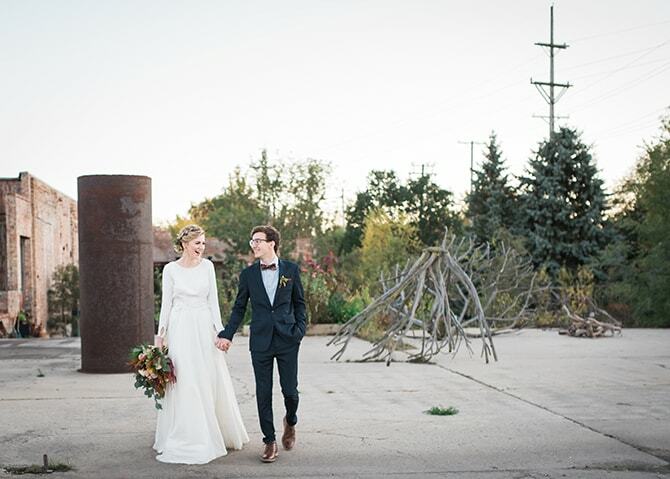 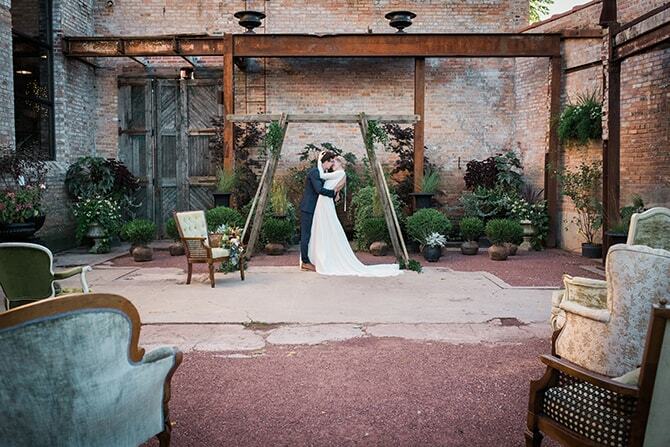 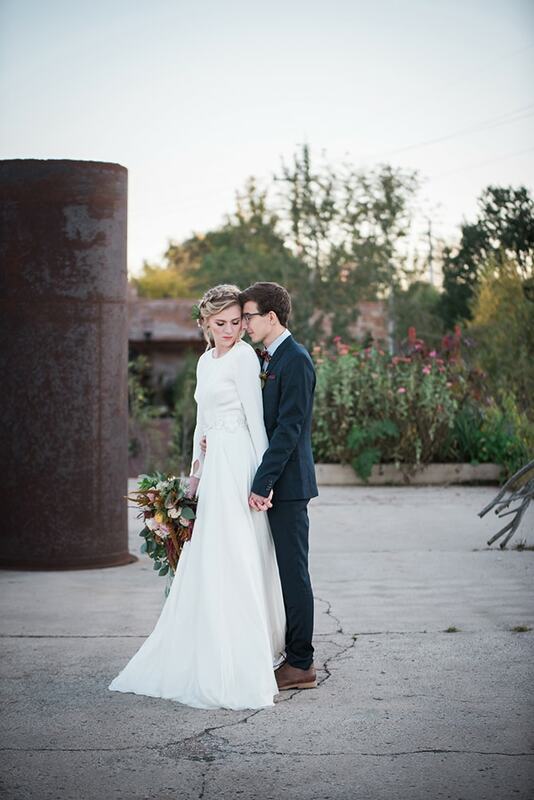 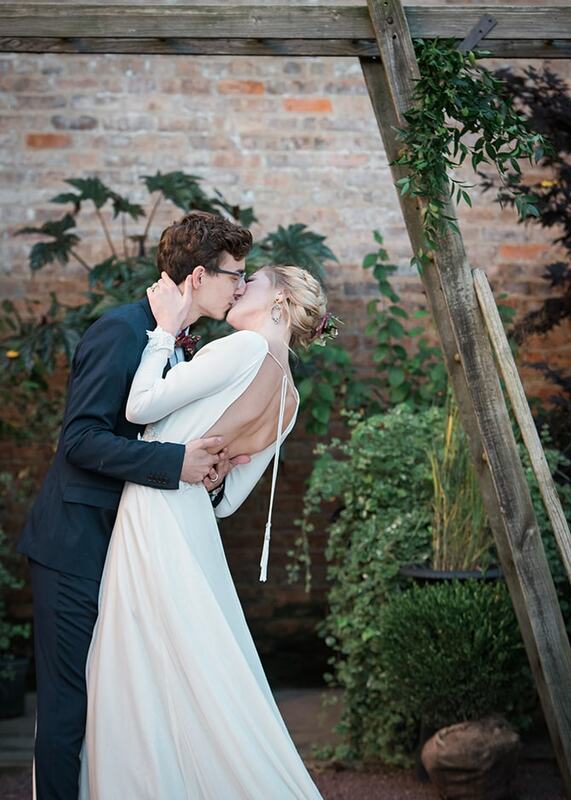 Blumen Gardens serves as the perfect backdrop for these stunning images. 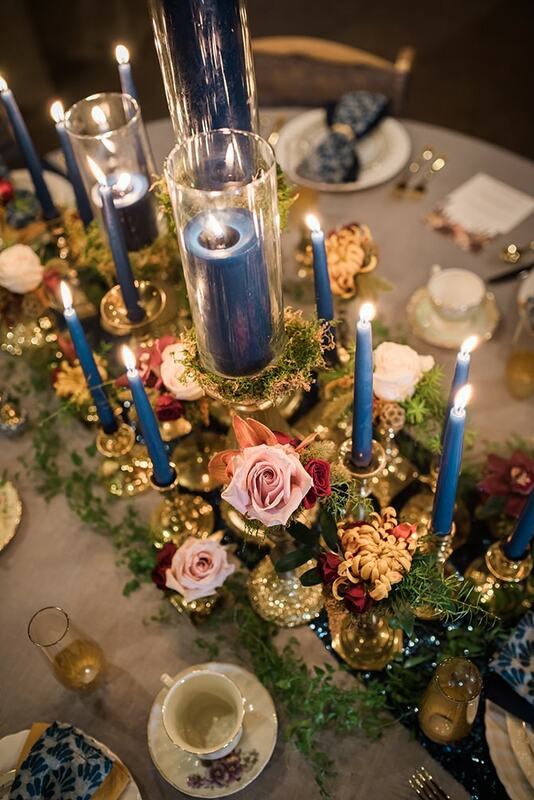 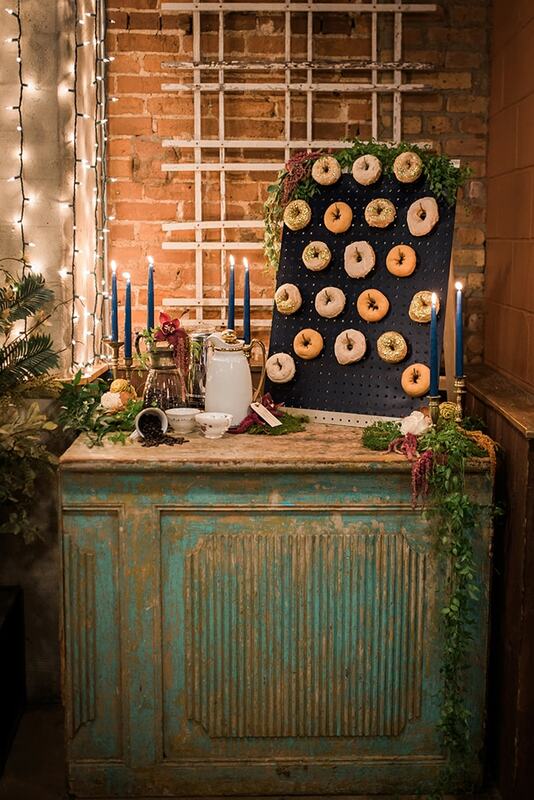 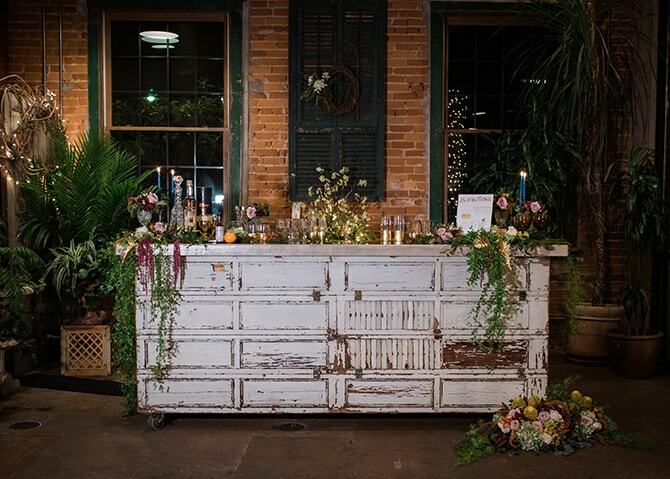 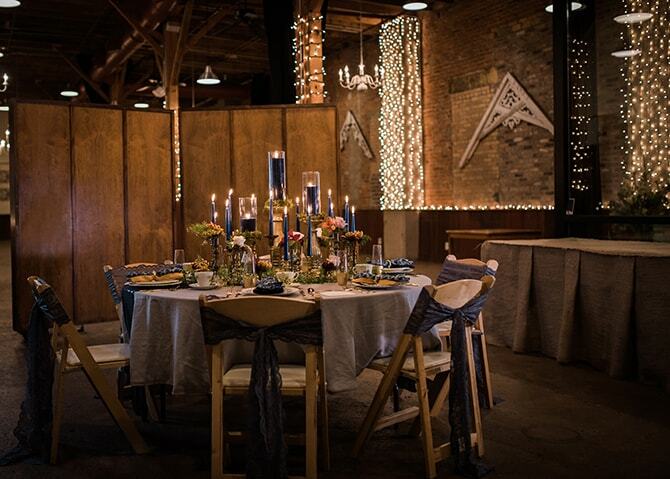 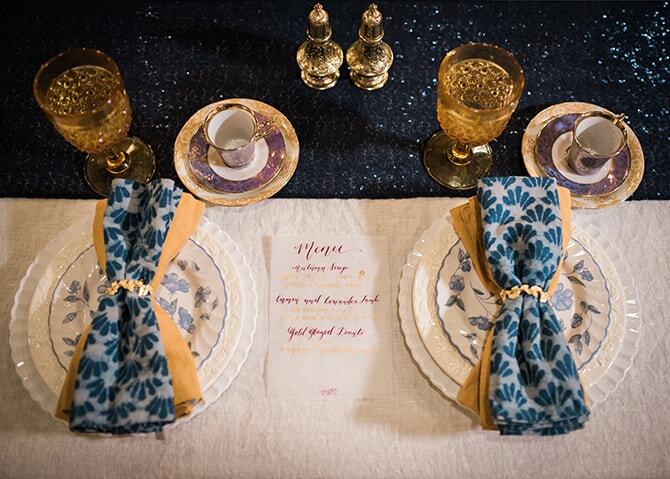 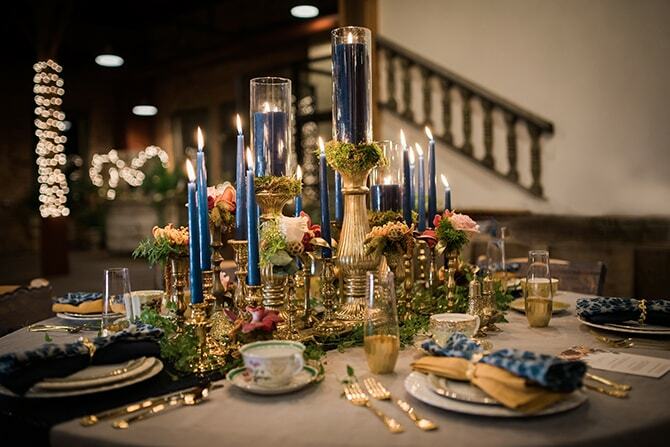 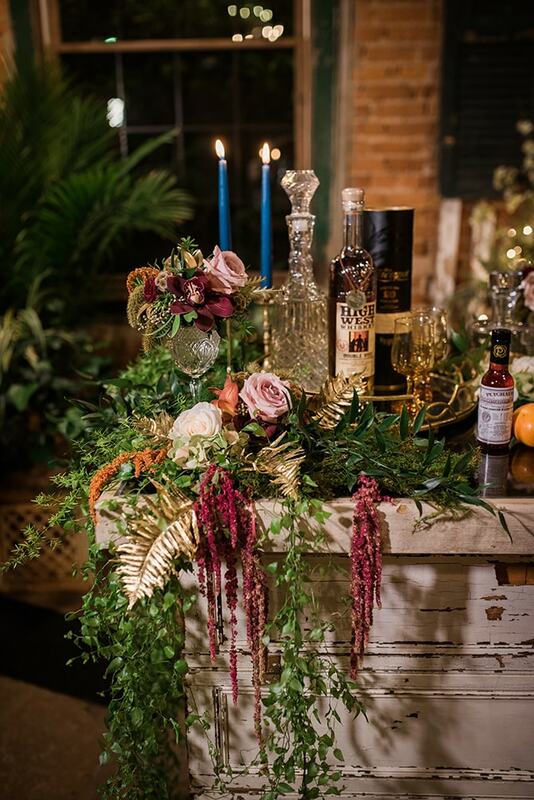 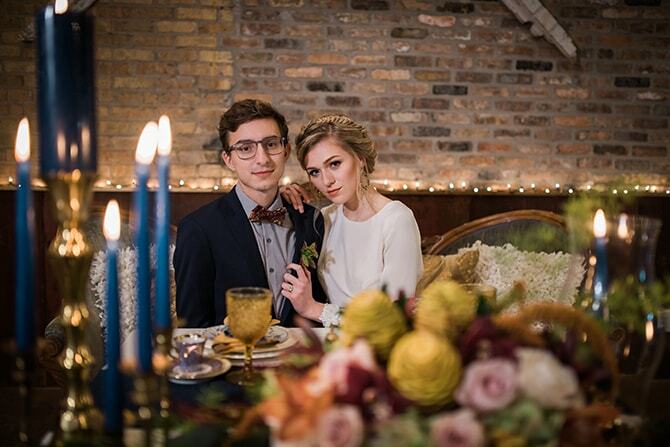 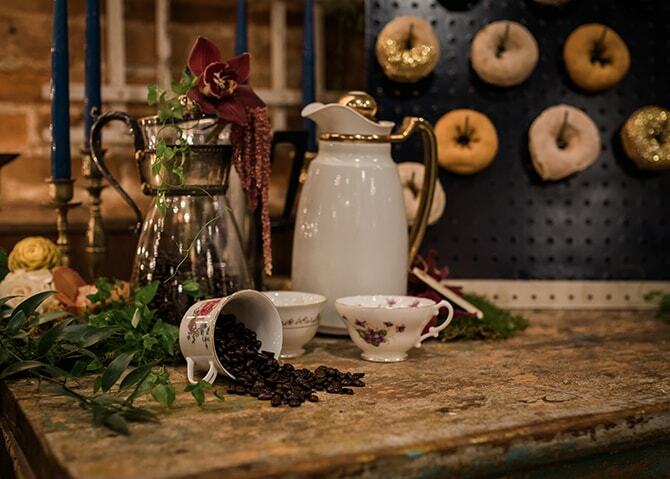 The style was a mix of natural earthy and vintage touches which can be seen throughout the shoot. 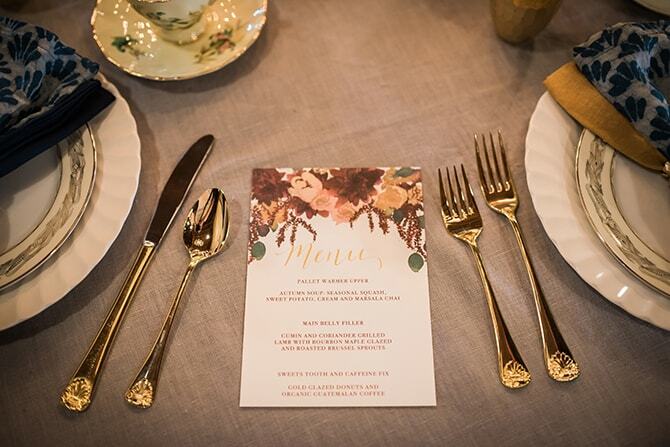 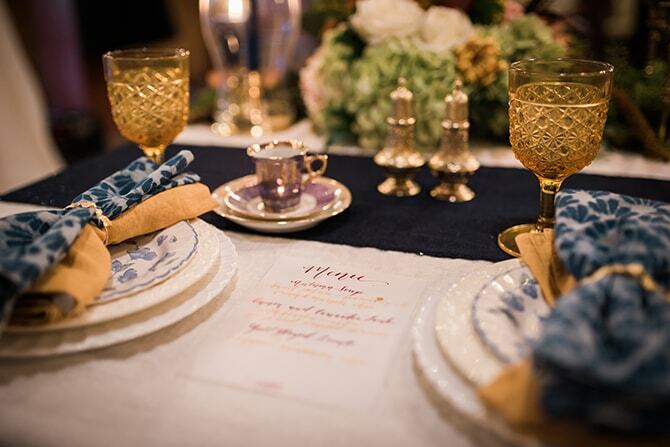 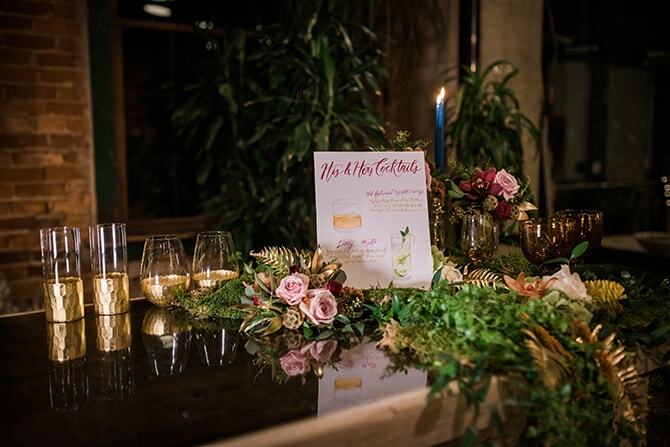 Beautiful hand painted stationery and fresh plants adorned the dining table. 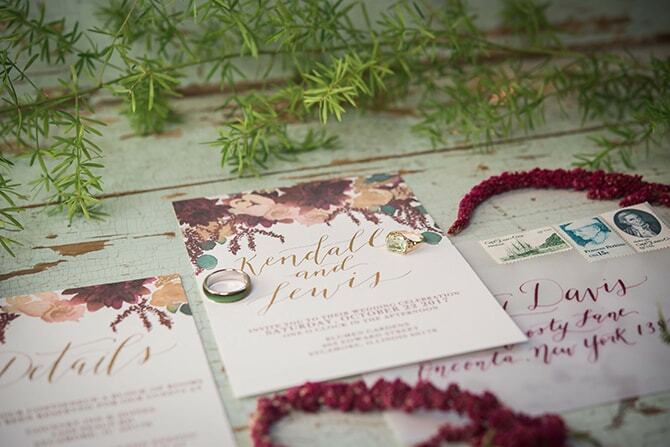 Ginger and orchids were chosen as they’re a symbol of strength, love and beauty. 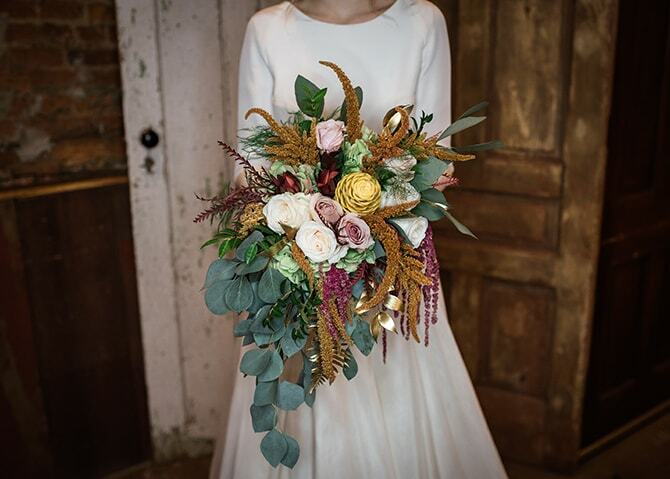 The Amaranthus is considered a symbol of immortality, with its Greek name meaning “unfading” – how perfect! 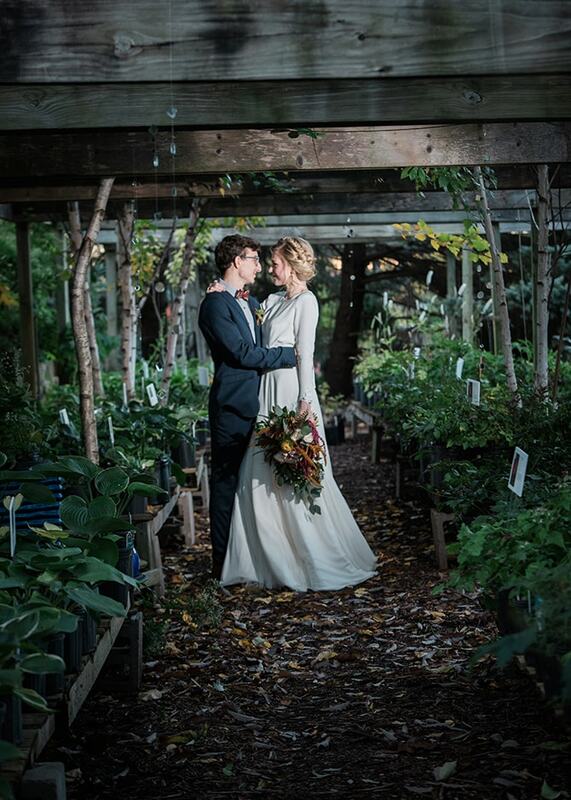 From the photographer, Inspired Eye Photography: “Our bride adorned a uniquely designed open back gown, with perfect floral details to fit a fall garden scene. 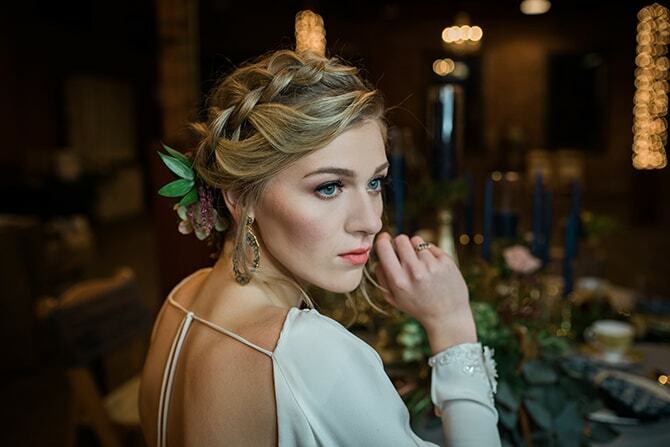 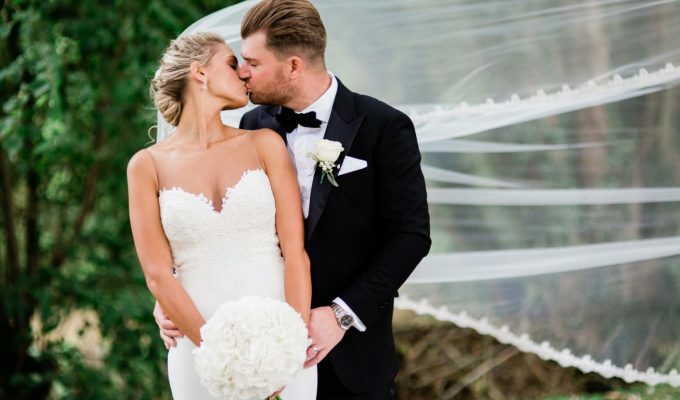 This was complemented by a pop of coral lipstick, shimmering rose gold glow, a romantically braided up-do, hand-designed shaved diamond earring and an estate ring with a green amethyst stone and gold to stretch what can be considered as a wedding ring. 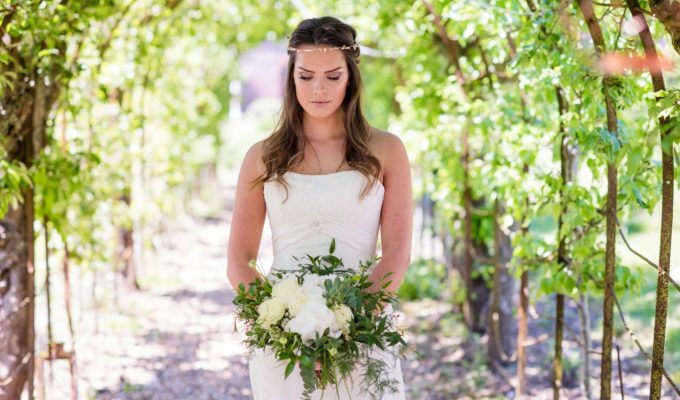 The details of the bride’s look were to convey an earthy and effortless beauty by highlighting all her distinctive features. 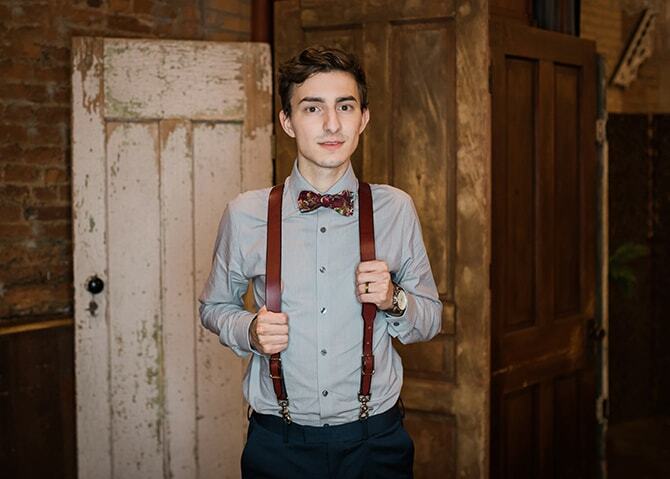 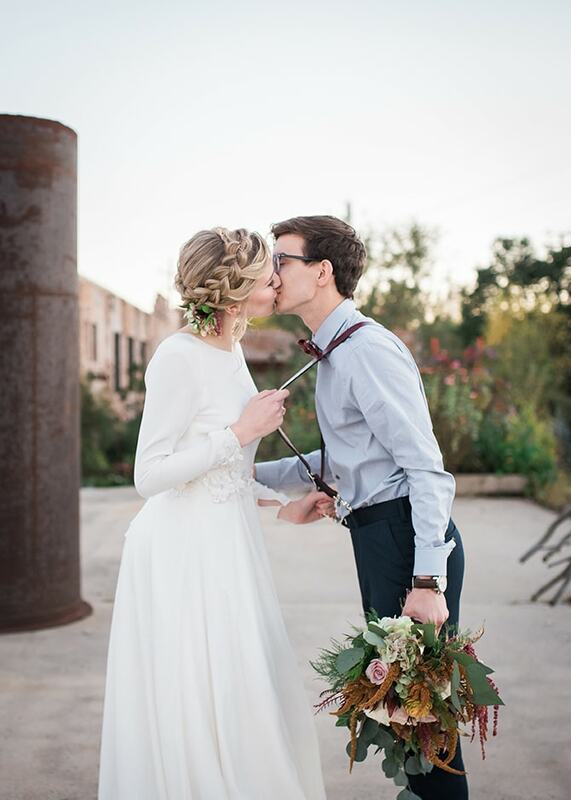 Our groom styled in a navy suit, handmade burgundy leather suspenders and a floral-inspired bow tie and a pocket square with a mood ring wedding band. 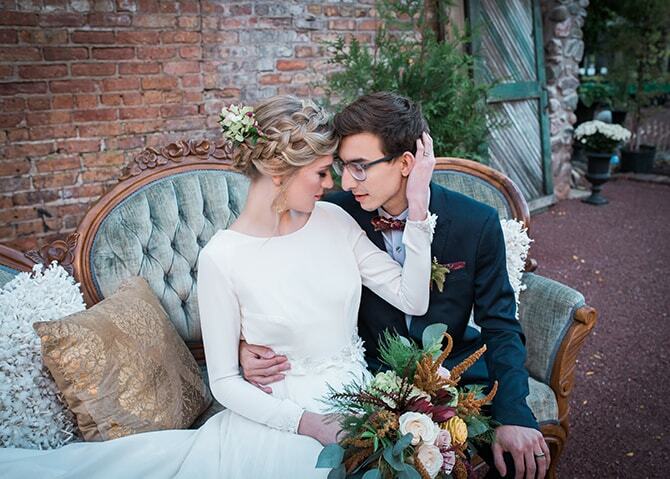 He was the perfect match for our bride.